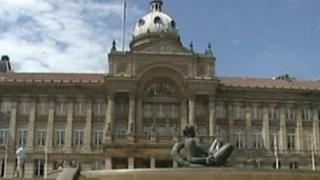 Birmingham City Council believes it has overpaid one of its major contractors by almost £19m, the BBC understands. An internal document states accountants think outsourcing firm MITIE may have been charging as much as 25% more than allowed in its contract. The company repairs council buildings, including schools in the south of the city. MITIE said it does not accept the findings and all invoices have been agreed and authorised by the council. This potential dispute relates to two contracts MITIE has held with the council - one covering repairs to council houses between 2006 and 2011, and a second ongoing contract over the maintenance of council-owned buildings, including schools, according to a leaked document seen by BBC political reporter Elizabeth Glinka. The information came to light during an audit of some contracts started before the new Labour administration took control in last May's election. It said that "significant issues have been identified" in relation to some of their maintenance agreements. According to the document, accountants from Ernst and Young told the council in August last year they had found what they described as "contract leakage" in relation to the agreement with MITIE which they said had not been operating as defined leading to a "loss of value" for the council. The council document said following more detailed investigations a "variation" - or difference between the agreed price list, called the the "schedule of rates" - and the actual amount charged by MITIE was found. There had been a difference of 27% for the current contract and 23% for the previous one which covered between 2006 and 2011, the report said. The document summarises that "a conclusion has been drawn from these detailed analyses that this approximate level of variation has existed from 2006 to present", which leads to the £19m figure. The document also suggested that the authority believes it has a 12-year retrospective window in which to make a claim and the council believes it can offset overpayments in the past against future ones. The response from the firm in the report states it does not accept the council's findings which it said are flawed, it has acted under instruction and final invoices have been approved by the council. MITIE was awarded this work through a competitive tender process and we have a full and robust audit trail for all work delivered and costs charged through this contract, all of which was approved by the council. The authority must save £102m as part of it 2013-14 budget and it anticipates having a "funding gap" of £615m by 2017, £15m more than it expected in October. In a statement, the council said it had already commissioned Ernst And Young to work with the council's procurement team to examine major contracts to test for what is called "contract leakage" whereby suppliers may be charging for work not strictly in accordance with the detailed terms of the contract. "In this exercise the review has identified that there may be differences in the method of charging for works compared with the terms of the contract. "Where this has been identified, the council in the first instance engages with a contractor to explore these findings and seek resolution, either by clarifying matters or by seeking a financial settlement. "Often these matters are highly technical and not simple and obvious." A spokesman for MITIE said the firm strongly refutes the allegations saying it has a "robust audit trail" for all work delivered and costs charged. Meetings have taken place between the parties to try to resolve the issues. In a separate statement the firm said: "MITIE was awarded this work through a competitive tender process and we have a full and robust audit trail for all work delivered and costs charged through this contract, all of which was approved by the council. "We have not seen any detailed information to support these false and damaging claims. "If either BCC or Acivico (a council-owned subsidiary) felt they had a case to claim compensation, we would expect that they take this process through the appropriate channels rather than directly to the media."